Meet Kay Montano (@kaymontano), acclaimed make-up artist and co-founder of ThandieKay.com. 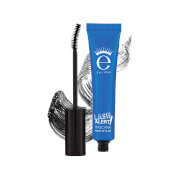 Look no further then her pro tips to create eyemazing looks with ease. 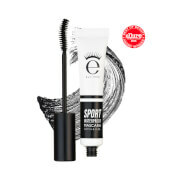 Shop her must-own edit including Lash Alert Mascara and Skinny Liquid Eyeliner for eyekonic eyes! 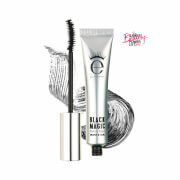 Mascara: Work wand through lashes in a zigzag motion from root to tip. Eyeliner: Use the precision tip to draw thick or thin lines for instantly defined eyes. Mascara: Aqua (Water), Acrylates/ Ethylhexyl Acrylate Copolymer, Cera Alba (Beeswax), Butyrospermum Parkii (Shea) Butter, Microcrystalline Wax, Copernicia Cerifera Cera (Carnauba) Wax, Stearic Acid, 1,2-Hexanediol, Polyglyceryl-3 Methylglucose Distearate, Magnesium Aluminum Silicate, Polyvinyl Alcohol,Triethanolamine, Isobutylene/Sodium Maleate Copolymer, Silica, Phenoxyethanol,Phenyl Trimethicone,Simethicone, Nylon-6, Dipropylene Glycol,PEG-40 Hydrogenated Castor Oil,Chlorphenesin, Dimethicone, Hydroxyethylcellulose, Disodium EDTA, Laureth-21,Alcohol, Magnolia Officinalis Bark Extract, Pentaerythrityl Tetra-Di-t-Butyl Hydroxyhydrocinnamate, Allium Sativum (Garlic) Bulb Extract, Camellia Sinensis Leaf Extract, Houttuynia Cordata Extract, Perilla Frutescens Leaf Extract, Perilla Ocymoides Seed Extract, Polygonum Multiflorum Root Extract, Arginine, Caffeine, Sodium Dehydroacetate, Angelica Gigas Root Extract, Apigenin, Astragalus Membranaceus Root Extract,Atractyloides Japonica Rhizome Extract, Biotin, Biotinoyl Tripeptide-1, Butylene Glycol, Cinnamomum Zeylanicum Bark Extract, Cnidium Officinale Root Extract, Ethylhexylglycerin, Glycyrrhiza Glabra (Licorice) Root Extract, Oleanolic Acid, Paeonia Albiflora Root Extract, Panax Ginseng Root Extract, Poria Cocos Extract, PPG-26-Buteth-26, Rehmannia Chinensis Root Extract, Iron Oxides (CI 77499), D&C Black No. 2 (CI 77266). Eyeliner: Aqua (Water), Ammonium Methacrylate Copolymer, PEG-30 Dipolyhydroxystearate, Sodium Hyaluronate, Phenoxyethanol. May Contain: CI 77491(Iron Oxides).